This LG K4 boots on Android v5.1.1 Lollipop platform to function. It also offers storage of 8GB with a Qualcomm processor and gives a good camera of 5 MP rear and 2 MP front shooter camera. Details of all are available under the specific headings. The LG K4 price in India is not out till now. If the phone comes within the limits of 10000 INR, it is worth considering as an option. This mobile gives a lot of commendable features if it is priced within 10000 INR. It is a smartphone that can seek your attention with its smart features offered. It is available in white and indigo colours. 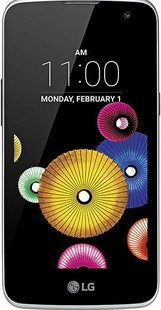 The LG K4 mobile phones are very light weighted phones which weigh around 120 grams and measures 5.19 x 2.65 x .35 inches. It may offer single or dual Micro SIM slots. The LG K4 phone display offers an IPS LCD type of capacitive touch screens with a pixel density of 218 PPI. The screen resolution is of 480x 854 pixels with the display size of 4.5 in inches. It also contains multi-touch display features and the screen to body percentage specified by the phone is 63.4%. The LG K4 camera has 5 MP primary camera and a front shooter 2 MP, both of which don’t sound very impressive when compared with the other phones available in the market. Video recording of 2160p @30fps is available with the phone. Some of the other LG K4 camera features include geo tagging, face detection and touch to focus. The quality offered by the phone is quite satisfactory. The LG K4 is boosted with a primary memory of 8GB with a 1GB RAM and LG K4 memory card can be boosted up to 32 GB. This phone offers Li-Ion battery powered with 1940 mAh. It has a removable type of battery. The LG K4 battery life is up to 510 hours on 2G and 500 hours on 3G as stand by time and 20 hours on 2G and 9 hours on 3G as talk time. The LG K4 mobile phone contains Mediatek MT6735M - K120E, K130E Qualcomm MSM8909 Snapdragon 210 - K121 processor which works on Quad Core 1.0 GHz Cortex A53- K120E architecture. The frequency is 1GHz. Mali-T720MP2 - K120E, K130EAdreno 304 - K121 is inserted in the phone. It supports v4.0 Bluetooth, USB, 2G/3G/4G, WiFi (802.11/b/g/n/) and GPS. It has sensors like accelerometer and proximity sensor. LG K4 FM radio is also another feature available in the phone. The LG K4 specifications can definitely pull in the crowd and it has many good reasons why one should go ahead and buy it. Although, you will be not be able to take your decision until the price gets disclosed. If it is offered within 10000 INR, you will not regret your decision. For a look at the specifications, refer here and compare it with other phones by Lenovo, Xiaomi etc. LG K4 full specs and reviews as of Apr 2019. Buy it here!